AUSTRALIA is starting to assemble its teams to compete in the 2020 World Butchers’ Challenge, being staged in Sacramento, California during September next year. The six Australian ‘Aussie Steelers’ senior team members will be selected and announced during March, while apprentices and young butchers making up the Australian contingent are currently going through a first-round state selection process. Two apprentices and two young butchers (below 30 years of age) will be selected to represent Australia in the World Butchers’ Challenge in a national final selection process being held at the Sydney Royal Easter Show on April 17. Before then, state selections of candidates are being held in all states, with 21 Tasmanian apprentices and young butchers about to line up for the selection process in their region. Western Australia has already selected its finalists for the Sydney Royal Easter Show national event, including Leon Sims from Rare Fusion and Jacob Strachan from Mondo’s in the apprentice section, and Matthew Underwood and Sam Sylvestro from Mike Voit Butchers in the Young Butchers category. 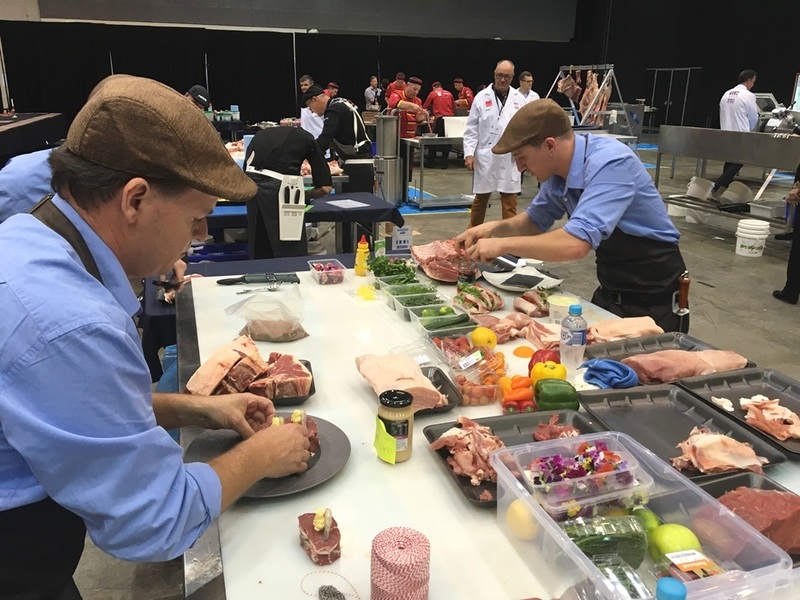 Head judge Bob Retallick said the Sydney Show apprentice and young butcher final promised to be a colourful and entertaining event, and judging by the quality of work seen during the state selection process so far, would reach a very high standard of craftsmanship. Next Year’s World Butchers’ Challenge will pitch teams of six from 15 countries around the world in a two-day test of knife skills, value-adding, presentation and craftsmanship. The World Champion Young Butcher and Apprentice Competition will take place prior to the main event. The Butchers of America trade organisation recently won the right to host the two-yearly 2020 Challenge event, after it was last held in Ireland in 2018. Host nation Ireland won the last event, with New Zealand and Australia second and third, while a team from France claimed the 2016 title, held on Queensland’s Gold Coast. 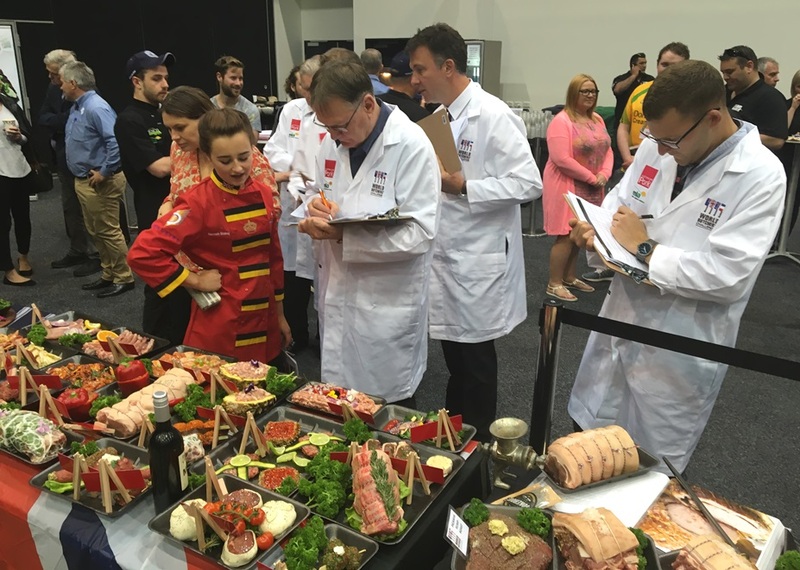 Apprentice judging taking place during the 2016 World Butchers’ Challenge on the Gold Coast. The World Butchers’ Challenge, now a true global event, had its origins in 2011 as a friendly Trans-Tasman butchery competition between Australia and New Zealand. The event has continued to grow with more teams added every two years since. Canada, Mexico and Iceland are three teams making their debut at the 2020 World Butchers’ Challenge, joining 12 other competing nations. The competition is designed to test each nation’s butchery, retail and presentation skills. Each team is given a side of beef and pork, a whole lamb and five chickens, which they must transform into a themed display of value-added retail products. The meat products are judged based on their levels of creativity, innovation and craftsmanship.